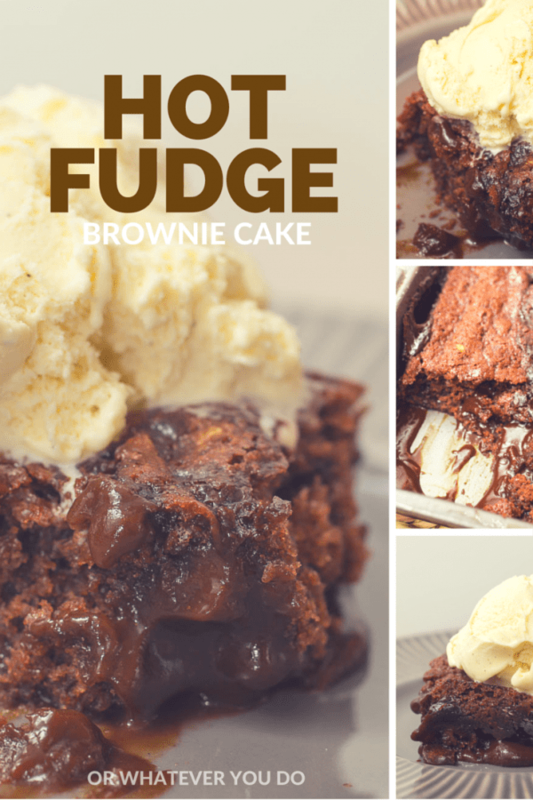 Super Hot Fudge Brownie Cake - Chocolate Chocolate and More! Need a great chocolate dessert that will “WOW” your guests AND only requires 10 minutes of actual work? Have I got the perfect cake for you! This Hot Fudge Brownie Cake makes two layers. 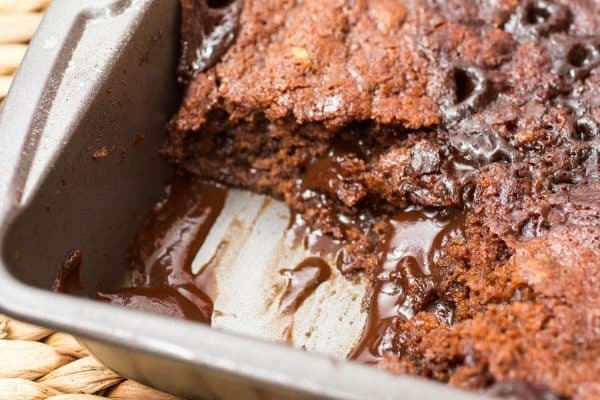 One cakey brownie-like layer, and one hot fudge – right in the same pan. CRAZY! 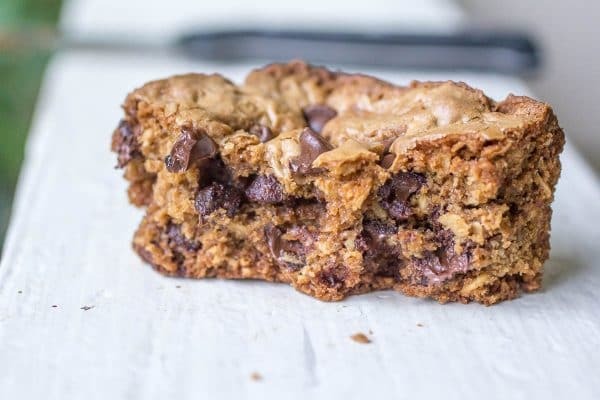 Easy desserts are kind of my jam right now, so when I came across this one from Southern Living I was immediate sold. 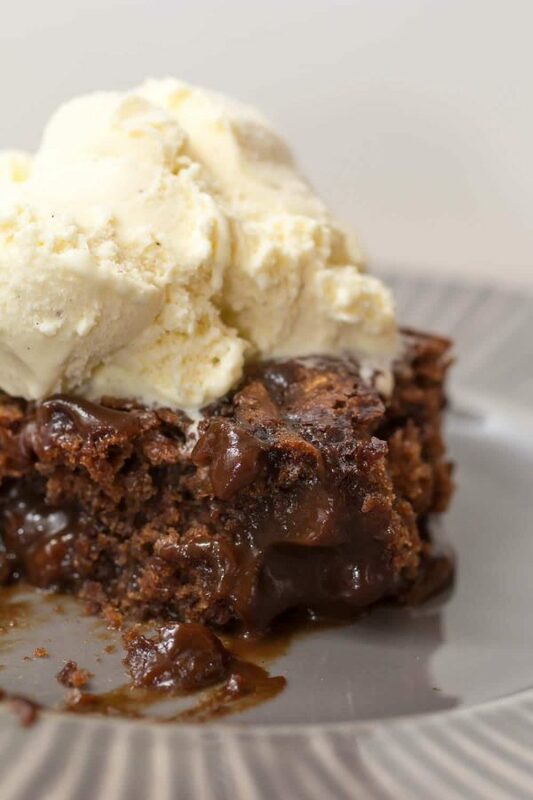 Was it really possible to have a cake, brownie, AND hot fudge sauce all in one? Totally possible. Completely easy. And its done with NO EGGS. One trick for this is to use a spoon to gently pour the boiling water over the top layer. The trick is to keep the water as the very top layer and not let it break through to the bottom. If you drizzle the water into a spoon and then let it run off the spoon onto the top layer its super easy. I didn’t even use a mixer to make this cake. Its that simple, and fast. The bake time does take a while, but because the prep is such a flash you can have this cake on your table in under an hour. Combine the flour, 2 tablespoons cocoa, baking powder, salt, and sugar together in a bowl with a whisk until well combined. 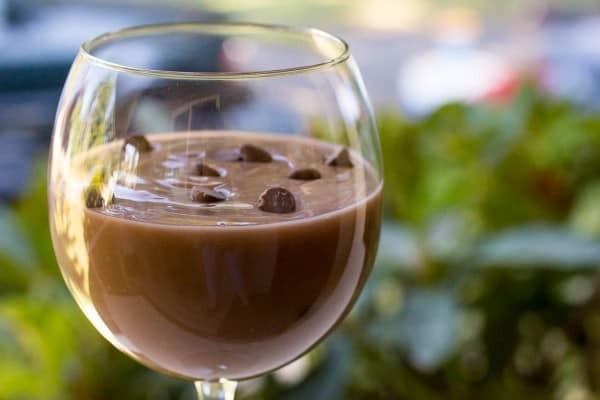 Combine the milk, oil, and vanilla in a measuring cup. Pour into the flour mixture and stir until no lumps remain. Spray an 8x8 pan with baking spray, and pour the batter into the pan. Combine the brown sugar and 1/4 cup cocoa powder in a separate bowl. Mix it together well, and sprinkle over the top of the batter. Slowly drizzle the boiling water over the top of the dry mix on the cake. Pour carefully, and make sure that the water doesn't pour through to the batter. Bake for 45 minutes, or until the top layer is cakey. Let cool for 10 minutes and serve warm with ice cream on top. 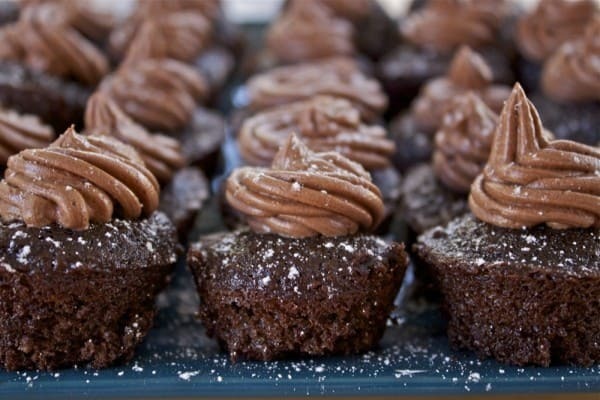 I love easy chocolate desserts, and if you guys are here than I bet you all do too! You might want to check out these awesome recipes from my blog, Or Whatever You Do. This is perfect cake. i spent 20min to made it at last weekend.